Listen to the best music Marseille has to offer, kicking off with local music journalist Genono’s 6 personal favourites. The port-town of Marseille has spent the last couple of millennia cementing its position as a bastion of French culture. From championing delicious seafood dishes to assembling a roster of renowned architectural and artistic gems, the city’s become a true must-visit for anyone looking to enjoy the very essence of Mediterranean culture. Yet despite its reputation as a cultural juggernaut, few visitors are familiar with Marseille’s vibrant music scene. That’s a shame, especially since ​“the Marseille scene is second only to Paris,” as the editor of French music journal Captcha Mag, Genono, puts it. Genono is perhaps the expert on the tunes to come out of Marseille in recent times, where it seems local bands have been held in especially high regard: ​“The locals are really quite attached to the homegrown artists. who boast a characteristic identity and use a lot of local slang. In short: When an artist comes from Marseille, you’ll know it immediately,” says Genono. When an artist comes from Marseille, you’ll know it immediately. Psy 4 de la rime performing in Brussels in 2014. Photo by Miguel Discart. 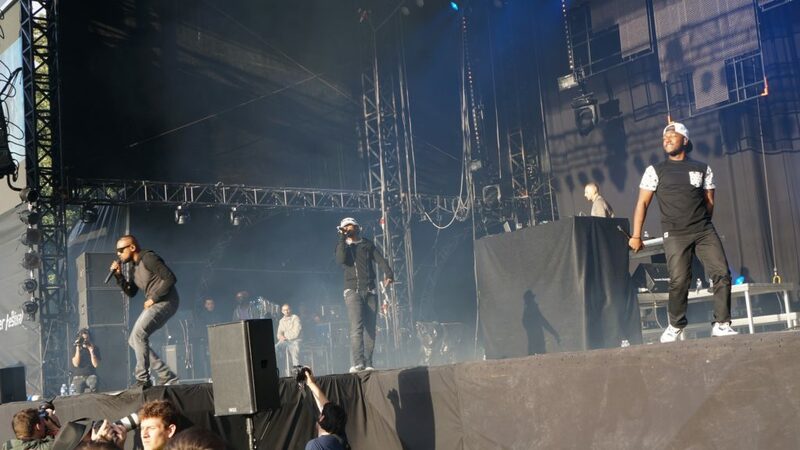 It will indeed be exciting to follow the scene and discover, how these relatively new artists continue to interpret Marseille’s unique rap heritage and make it their own. Cover Photo: IAM performing at Fête de l’Humanité in 2014. By Thesupermat.